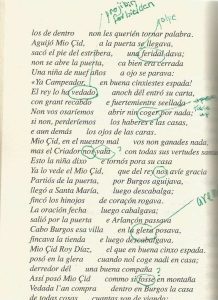 I am re-reading El Cantar de Mio Cid, which a fan sent to me sent I had mentioned loving it and hadn’t really sat down with it for thirty years. 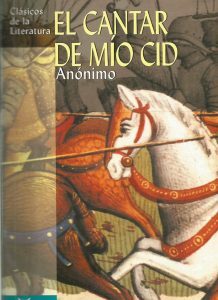 This book was a gift and much appreciated, it has the medieval Spanish on one page and the modern Castilian on the facing page. I have to use the dictionary constantly but there’s no dictionary for Spanish of the 11th century. It’s fun to puzzle out. He was an unlikely hero — always “llorando de los ojos”, in fact lots of people were “llorando de los ojos” although I don’t know where else you would llorar from other than los ojos but it was a country expression I suppose, a dialectical expression. He cried freely, he was told to leave Burgos by a nine-year-old girl who crept out of a doorway in the night and said if anyone helped him then the king would kill them, he cried again, he prayed often, his main concern was to protect his wife and two daughters. Slaughtering the moors takes about four lines, but his long conversation with his wife Jimenea is pages. Which brings us to heroes; their provenance, their archetype, their journey, their failures and battles and so on. It is a LITERARY figure that is always of deep interest. A human fascination that never ends. People get into arguments about ‘real’ heroes, but in this post the concern is with the LITERARY construction of the hero, and of course it could take up books. I see many main characters as I search through sci-fi and dystopian novels who are actually victims more than they are heroes. It comes from the Greek; hero originally meant ‘protector, defender’. El Cid is one; Beowulf of course, and Ilya of Murom the Russian folk hero, and he is quite interesting as he came from the peasants; he was not of the princely class. 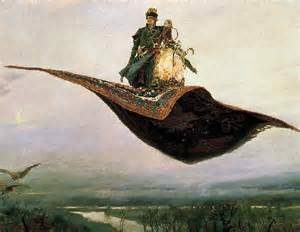 But he gained wealth and fame and a magic horse and a flying carpet and ran the tartars out of the Kingdom of the Rus. This is of course a STORY. A tale, a narrative, a fictional account of the world. 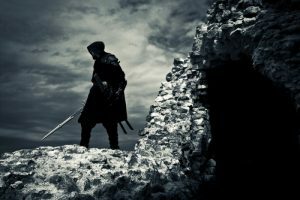 How the hero is built as a main character, the uses of a ‘hero figure’ as a main character is a technical challenge for the writer. Also Francis Crawford of Lymond on wiki forums. The second one for Patrick O’Brian’s wonderful Aubrey and Maturin combo, who carried him through twenty-one novels, or stories about life on the high seas. Maturin is perfect; one of the best characters I have ever read of or about. Endlessly fascinating, incredibly real. And Aubrey is not far behind. You just have to invent a character that has a goal, a set of standards (otherwise he becomes a villain), strength, facility with weapons, determination, field expedience and brains, and a reason for a journey. These people are fun to be around, in a book. In real life? That’s where everybody tends to bog down. This isn’t real life. Literature is hyperreal life. This entry was posted in News on July 14, 2017 by admin.